Some text here Some text here Some text here Some text here. Some text here Some text here Some text here Some text here. Some text here Some text here Some text here Some text here. 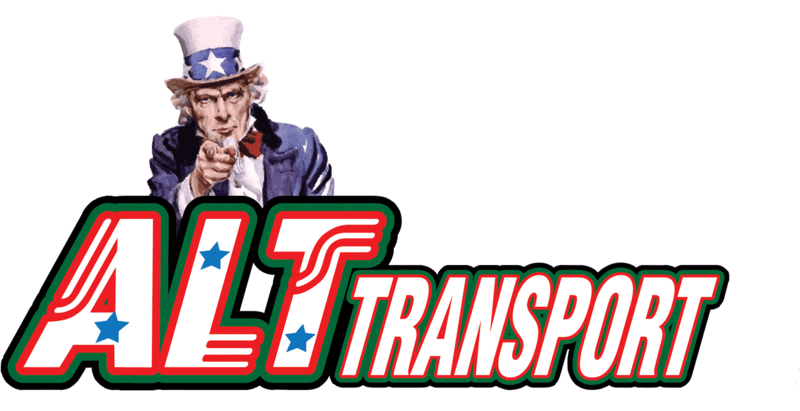 ALT Transport Inc provides service in the lower 48 states. 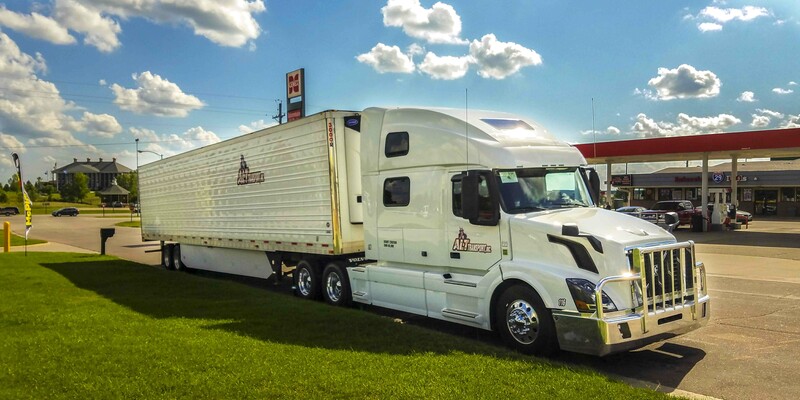 We operate late model Volvo tractors with 53 foot refrigerated trailers allowing us to transport not only dry goods but also products that require strict temperature regulation. 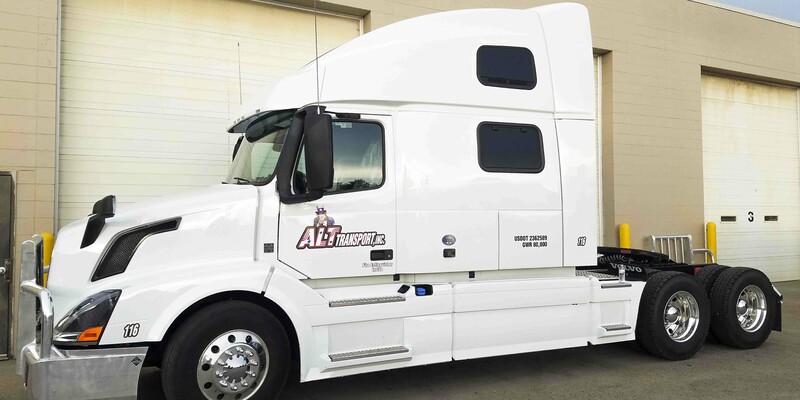 ALT Transport's goal is to serve the needs of our customers who require on time deliveries with the utmost of safety. 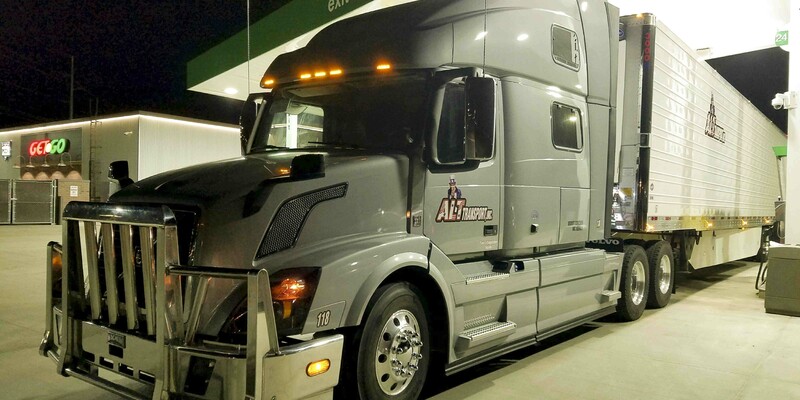 We understand the importance of the trucking industry and are committed to ensuring that drivers safely execute their duties that deliver for our everyday lives. We want to deliver the best service to our clients and customers. We understand that the delivery of goods is not a 8AM to 5PM job. Our drivers and staff eagerly work with our customers to ensure on time delivery, no matter what that time may be. We make deliveries not only during the day, but also at night. We work weekends and holidays to ensure the job is done right. 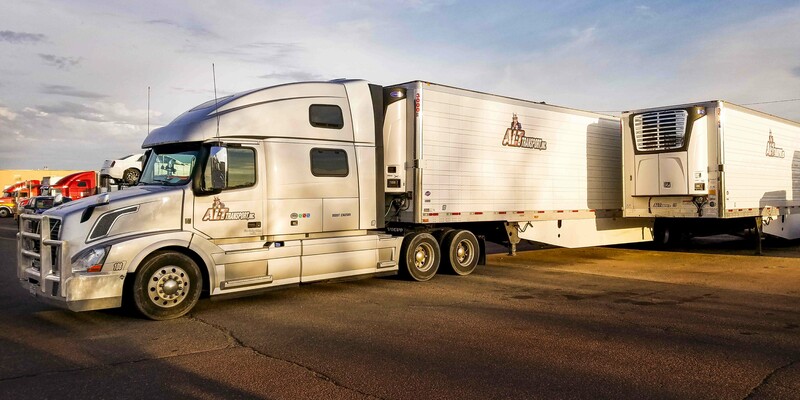 ALT Transport Inc. is a family owned operation headquartered in Sioux Falls, South Dakota. 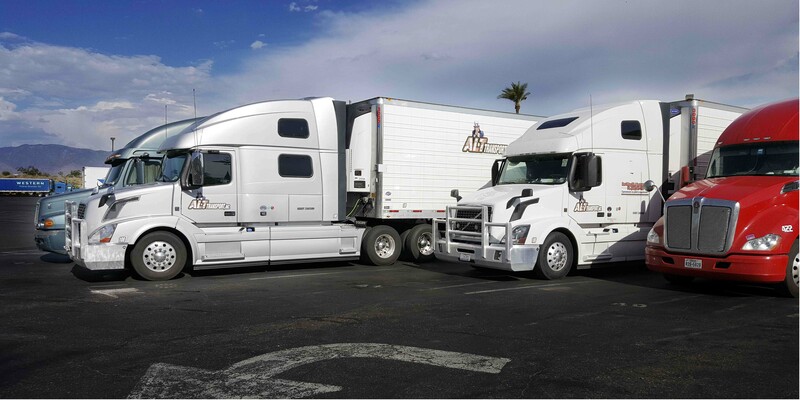 Our expertise includes semi-trailer trucks with flatbed/step deck trailers and refrigerator trailers. 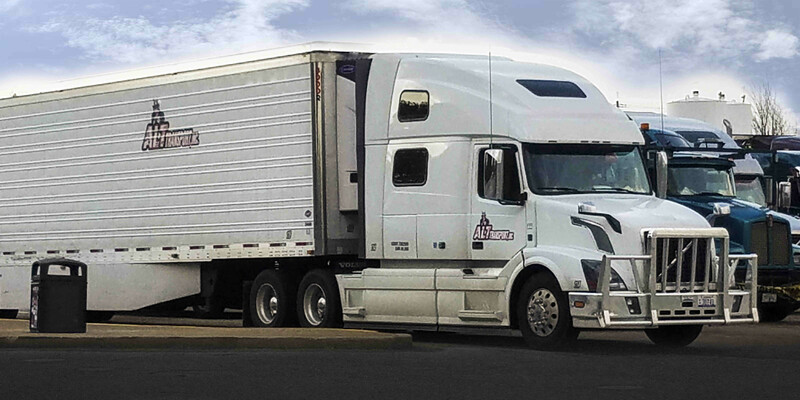 Our drivers safely transport commercial loads in the lower 48 states in the United States and Canada. We have intimate relationships with the industry top manufacturer. ALT Transport uses late model Volvo tractors—92% of which are less than five years old. Truck cabin accessorized with microwave, refrigerator, and GPS included in the cabin. 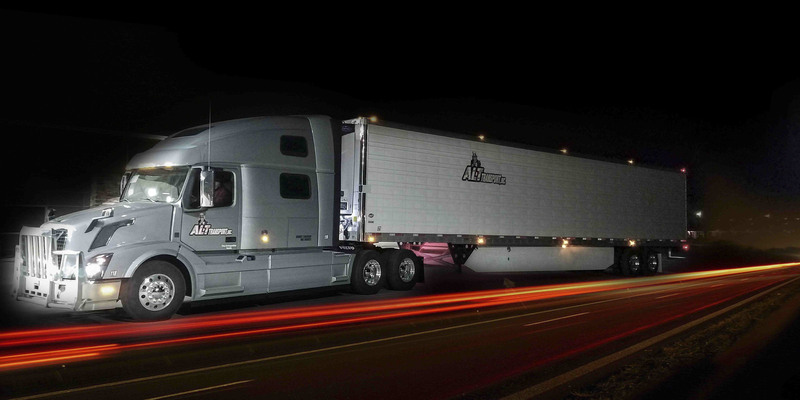 All trucks feature automatic transmissions and pull 53 foot reefer trailers. We are seeking reliable solo and team operators to grow with us as our business continues to expand. Drivers are not obligated to live in the immediate area/region of South Dakota. We pay competitive wages based upon experience. 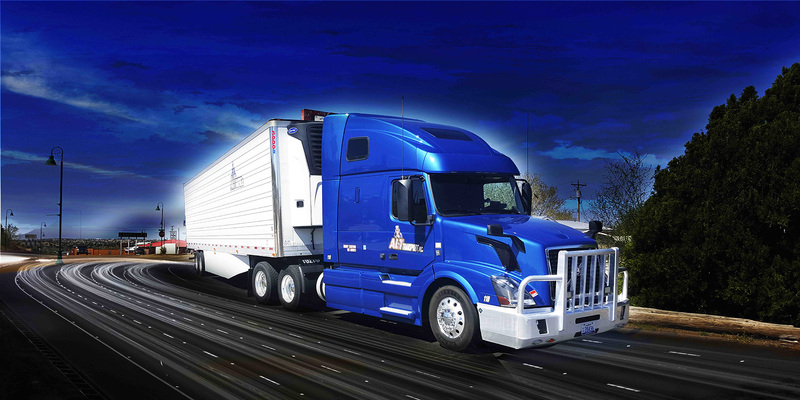 Opportunities also exist for new drivers who recently received their CDL Class A license.